When Donald Trump was mulling a run for the White House back in 2000, Fortune magazine reported that he had combined his political appearances with 10 paid speeches for motivational guru Tony Robbins, so he could earn money while assessing a candidacy. Its very possible that I could be the first presidential candidate to run and make money on it, Trump told the magazine. The sentiment may prove prescient. Electing a U.S. president who is also a billionaire can carry all sorts of novel complications. One, for example, is Donald Trumps fleet of two airplanes and three helicopters (including a Sikorsky S-76 featured last year on a television segment called Pimp My Chopper). When it comes to political campaigns, the U.S. Secret Service pays for agent travel, be it on aircraft, trains, boats or automobile. The campaigns of both Trump and Hillary Clinton have been paid a total of $5.45 million for flying agents around, according to the last tally available from the Federal Election Commission. Of that, $2.74 million was attributable to protecting Trump. Unlike Clinton, Trump didnt need to charter an airplane since he flew on his own jets. As a result, while the Secret Service chipped in for its share of what the Clinton campaign paid to charter a plane, when it came to Trumps campaign, the federal agency effectively just paid him. For travel on Trumps black-and-red Boeing 757 and Cessna Citation jet, the candidates aviation company TAG Air Inc. has raked in almost $6 million, Politico reported. These payments, Secret Service spokesman Joe Casey said, accord with FEC rules specifying that those traveling with a campaignincluding the news mediamust pay for their travel. Trumps aircraft fleet is just a microcosm of the numerous potential conflicts his transition team must navigate, given the extent of the president-elects business interests. Once they take office, Trump, Vice President-elect Mike Pence and their wives will travel on U.S. military aircraft. Whats not clear is how their seven adult children, their spouses or any other relatives will travel if they are under federal protection. If theyre traveling with Trump or Pence, theyll likely fly on Air Force One or Air Force Two. At other times, however, Trumps children might fly on a private jetpotentially one Trump owns. The Secret Service does not discuss the status of protection for specific people, Casey said. The law specifying the Services duties authorizes protection for the immediate family members of the president and vice president. Trumps four oldest children live in New York; Pence has two adult daughters, and a son in the U.S. Marine Corps. Trump also has a 10-year-old son, Barron, who will live at the White House. First Lady Michelle Obamas mother, for example, lived at the White House but did not have Secret Service protection unless she was with her daughter or granddaughters. 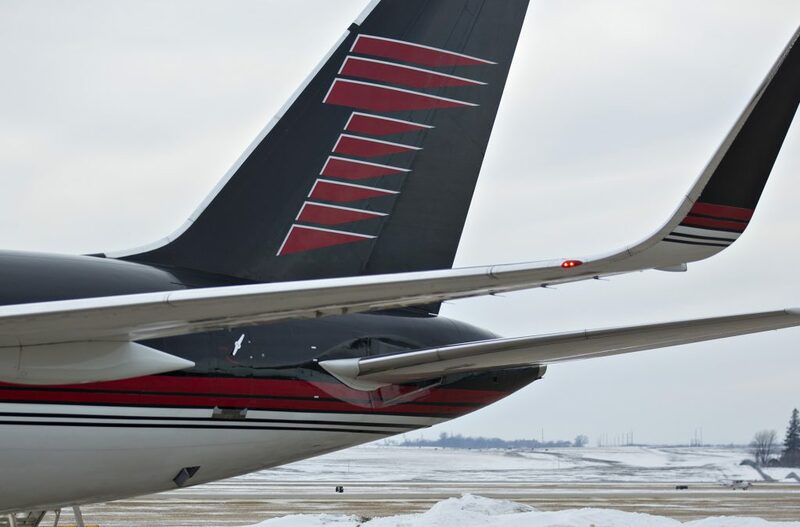 For any of the Trump or Pence clans assigned a protective detail due to safety risksand the rancor of the 2016 vote could well produce manySecret Service travel on a Trump-owned plane means the agency would need to reimburse the aircrafts owner. In this case, the president. So then you have government money going into the pockets of the president and his children, said Brett Kappel, a lawyer who specializes in political finance and ethics at Akerman LLP. The Trump transition team did not respond to email requests seeking comment. The Trump family has also hired private security guards, although it is unclear how Trumps election will affect the extent of private security used. The Secret Service has assumed full authority for protecting the president-elect and vice-president elect, including a new no-fly zone the Federal Aviation Administration has established until Jan. 21 over Trumps Manhattan residence. And unlike the taxpayer funds used to reimburse political campaigns for travel, which the Secret Service reports to the FEC, its security travel costs for an elected official, visiting dignitary or other protectee, are part of its normal operating budget and not subject to disclosure. So the cost of flying agents on Trump planes after the election probably wont be publicly disclosed. Theres a going to be a bunch of unique situations because of President Trumps extensive business holdings, Kappel said. Weve never had a president in the modern era that has had a situation like this.